A changing technological landscape has far reaching consequences for many business sectors. 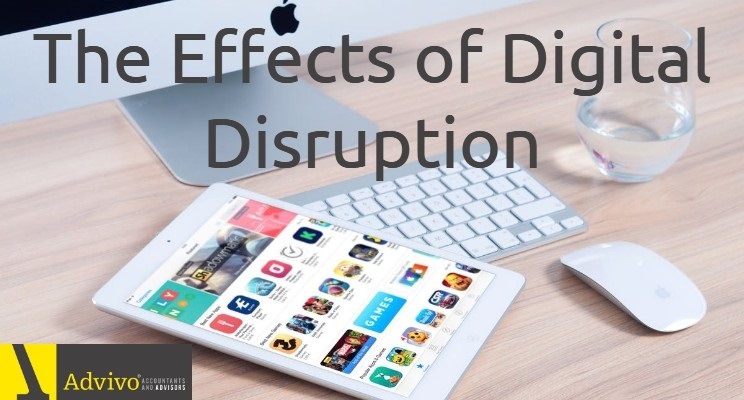 These changes create a disruptive digital environment affecting businesses, large and small, all over the globe. Moving any part of a business to the Cloud may seem intimidating but with the right support, any company can transform their business processes and reap the benefits of Cloud based services. Businesses are able to reduce their physical technology footprint with a transition of services to the Cloud and also ensure wider availability to staff of all applications to an anywhere-anytime environment. Financial services are being pushed towards the Cloud because of the changes being made across the sector. A vast increase in accessibility and the calibre of services available to all digitally connected businesses is a catalyst for this disruption to the digital landscape and the way we do business. Business accounting services are becoming modernised by the advancements Cloud services are providing. A greater expectation is placed on accountants and financial managers to work closely with clients in real time, to produce up-to-date figures and reports at the touch of a button. While traditional services would take a copy of accounts at the end of a quarter or year, Cloud based applications can allow for complete and transparent access at any time for any party and business owners can do their accounting at any time from a variety of devices. With an automated back-up system and a security system based on the same security infrastructure as most global financial institutions, Cloud services offer all businesses access to market leading products and business tools. Cloud services can be scaled to fit any purpose, with the ability to add modules that can automate a large amount of traditional manual work; and can automate services from accounting and quoting to scheduling and timesheets. These modules can also track lead activity and sales conversions allowing for a greater ability to monitor business performance. The most important thing for a business looking towards Cloud services is to develop a thorough strategy for the transition and the continued function of a business. Understanding the needs of a business thoroughly and integrating that with specific services is key to modernising any business with the Cloud. Advivo can help clients integrate cloud-based services and digitisation into their business processes. If you are considering moving to a Cloud based accounting package, get in contact with us today! This article has been written with contributions by Rob King, Director from Integration Kings who we partner with to deliver the highest level of expertise and support in cloud integration.